Included in the book is all the design process, marketing research, costing, and sourcing research done to create this mock jewelry company. This is a 10 week, quarter long, project done for Private Label Product Development. We were to create a company from scratch, research our market, sources, and costs to create a unique product as well as to brand and advertise it. 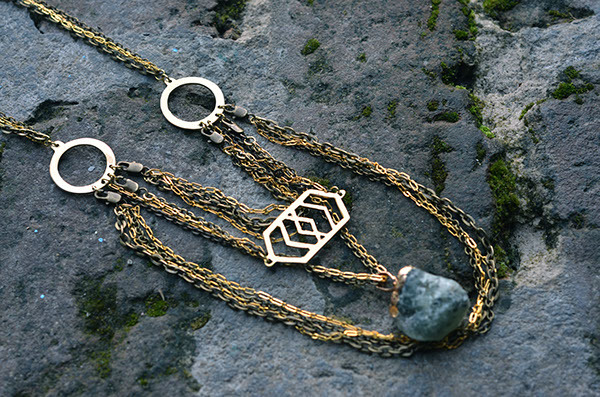 We chose to create a necklace with detachable chains for different styling options.